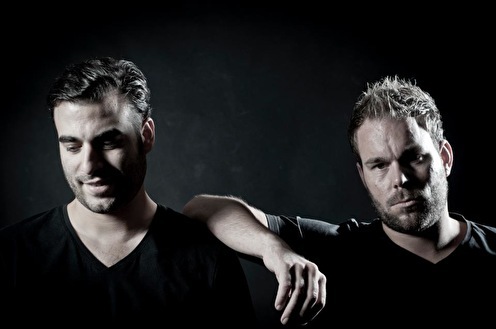 Fisherman & Hawkins, consisting of Isaac Vissers and Rob Koopmans, have already been in the EDM scene for quite a while. Performing, producing and organizing events is what they have been doing over the past few years. Hence, from late 2011 they decided to combine their forces on the production level. Since they knew exactly what style they wanted to produce, they found out that this cooperation was successful from the start. Their first track 'Perlas', which is a collaboration with Mark Sixma, has received great feedback from all the major producers out there. Perlas was released on Armada's sublabel Captivating Sounds and received Airplay in shows from Armin van Buuren, Sean Tyas and Ost & Meyer. Perlas did a great job in Beatport's Trance Top 100. This great start has been the reason why they locked themselves up in their studio to work on the follow up. Another banger is set for launch: Nightshift. When Markus Schulz found out about this track he immediately decided that this needed to be released on his imprint Coldharbour Recordings, and so it will be coming soon. The feedback on this track has been thrilling so far, especially after Markus played it a couple of times in his own radioshow Global DJ Broadcast. With a monthly podcast on the horizon, Isaac and Rob are ready to let the world hear what their vision on nowadays Trance is! Hoogste tijd dat het hard los gaat voor deze heren.­ Top producties! Venlo mag trots zijn met deze 2 Dj's/producers, wat kunnen ze het stedje van lol en plezeer op zijn kop zetten!!! P E R L A S !! Toppers! Hopen dak ze deze zomer live ga zien... ik zeg de nieuwe W&W alleen nog beter!! !